Considered by many as the bulb for life. 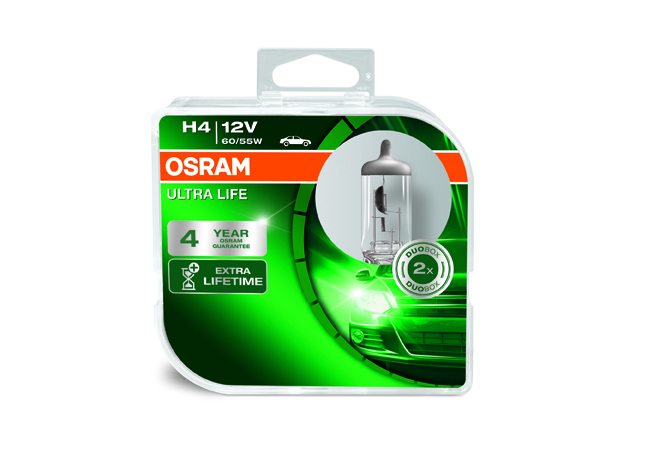 The ULTRA LIFE halogen range has now been improved to provide a up to four times longer lifetime than conventional halogen headlight bulbs and is the perfect solution where bulb replacements are complex or if you drive for long periods of time in the dark or with your headlights on. With regards to design, ULTRA LIFE® is a success all the way. Its silver tip blends with the headlamp reflectors giving an impression of the highest quality. 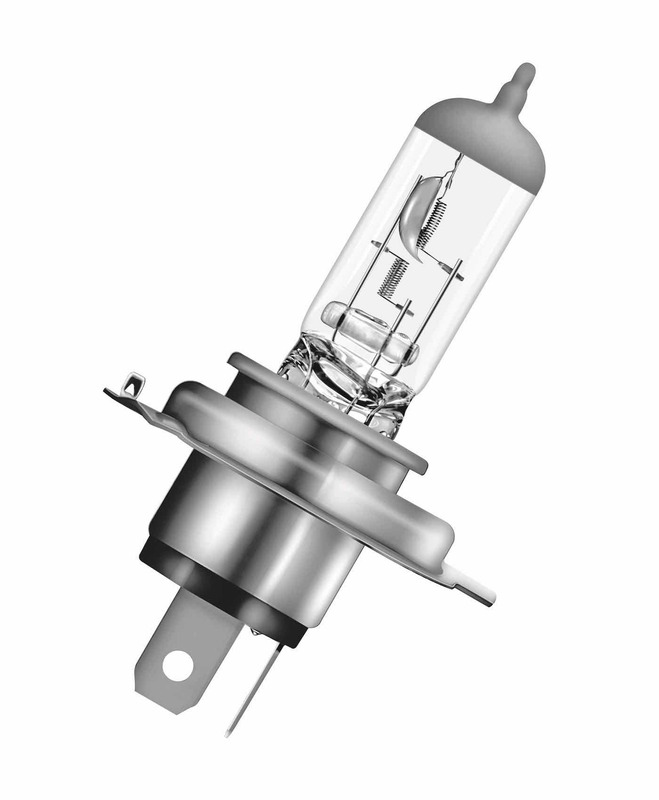 The ULTRA LIFE® product range does not just stop at forward lighting applications, it also includes a number of auxiliary bulbs for auxiliary applications. 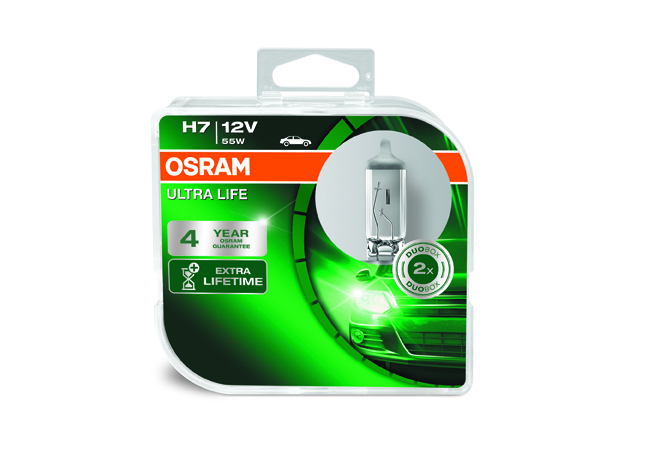 With ULTRA LIFE® headlight bulbs you now get an additional fourth year OSRAM guarantee with online product registration – visit www.osram.co.uk/am-guarantee for more details. 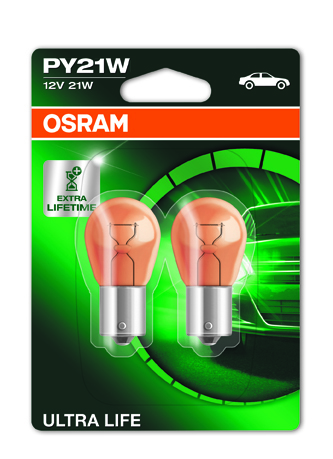 Click here>> to see our new range of ULTRA LIFE® HID (Xenon) bulbs. 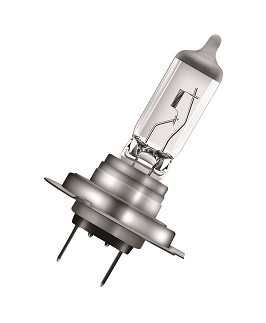 1) Compared to a standard OSRAM OE halogen bulb. 2) With an average annual mileage of 8,857 miles with 60% lights on. 3) 4th year guarantee with online product registration. Visit www.osram.com/am-guarantee for precise conditions and registration. 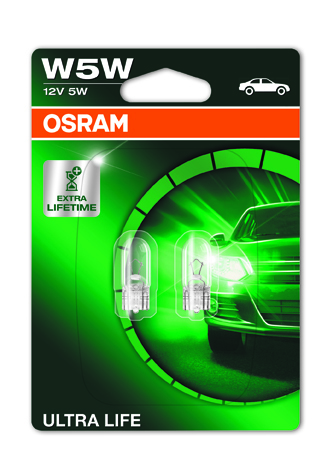 Note: OSRAM launched a new packaging design concept in September 2016. The new packaging design (seen above) will be phased in once old packaging stocks are depleted. Images shown for illustration purposes only.